Everest is a 42 inch Laminate asphalt shingle made from a fibreglass mat and surfaced with mineral granules. Everest is covered by a Limited Lifetime Warranty. Its standard wind Warranty covers up to 180 km/hr (110mph) and its High Wind Warranty covers up to 220 km/hr (135mph) as per special application instructions. Gripgard is a self-sealing granulated membrane for roofing eave protection against ice and water infiltration. 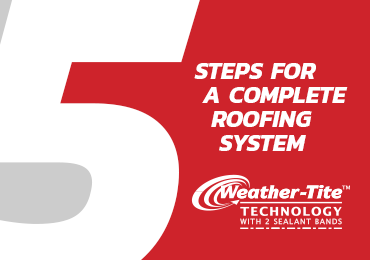 Suredeck is a light-weight, woven polypropylene, synthetic roofing underlayment. 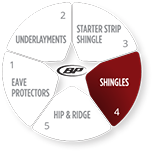 Cost-effective BP starter strip shingles reduce installation time and waste.